The midfielder has hardly featured for City this season and was close to a move to Millwall. It seems the Lions have cooled in their interest but Wednesday could take the Northern Ireland international on a free transfer. Mulryne is currently in Portugal with the City squad. 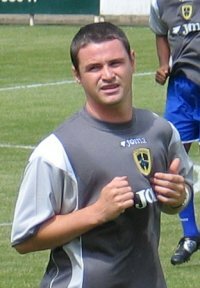 Another player in Portugal is Neil Cox. It's been rumoured this week that he could also leave before next Tuesday transfer window closes. Cox is contracted until the end of the season and could move if he's offered a longer deal somewhere else. Dave Jones is reluctant to offer Cox a deal as it's dependant on what division we are in next season. Two players with uncertain City futures are Jermaine Darlington and Stuart Fleetwood. Both were left behind in South Wales this week and played in the reserves 1 - 0 win over Bournemouth. Neil Alexander stayed behind from the Portuguese trip fpr family reasons.